Carex Mini-Storage provides easy and secure storage for your belongings. Thanks to our state-of-the-art security system – including secure fences, unique access codes, surveillance cameras, emergency phone numbers, and effective lighting – your belongings are safe at all times. Controlled access + security + surveillance = peace of mind. All clients have their own unique code, ensuring secure access to our locations. A unique code means you enjoy greater autonomy: you can come and go whenever needed simply by entering your code on the keypad to deactivate and reactivate the alarm system. A camera system monitors locations throughout the yard and inside the buildings 24/7, ensuring maximum security and supervision. In emergency cases only (for example, if the keypad is not working or if there is a power failure), you can quickly contact our highly qualified personnel using the emergency phone numbers displayed on the keypad. A charge of $75 applies if we are requested to take action without valid reason. Lighting in the buildings and the yard is designed to provide our clients with security and protection. 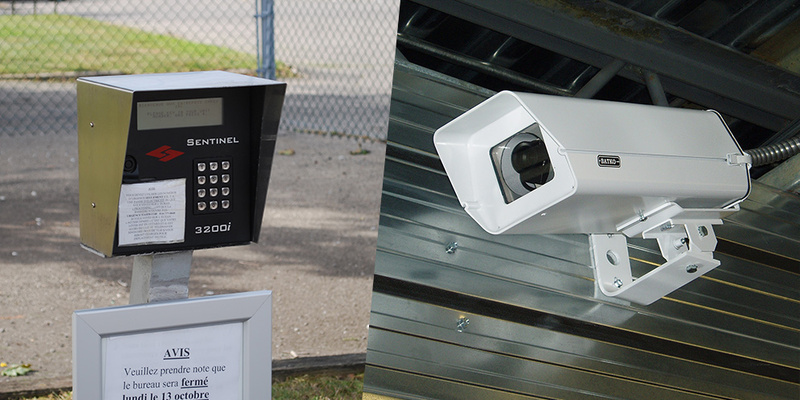 To find out more about security at Carex Mini-Storage, contact us at Chomedey, Laval and Terrebonne.